The Boeing 777 is the world's largest twin-engine, long-range passenger and cargo jet, and is also famous for being the first plane to have ever been designed without the use of paper sketches, instead relying solely on computer-generated models. Development of the plane began in response to a rising need to replace the aging Lockheed L-1011 and Douglas DC-10 in several of the largest long-range airline companies of the time. The 777 became Boeing's second largest passenger jet, smaller than the 747 and surpassing the 767. The base model, the Boeing 777-200, entered service with the United Airlines in 1995. 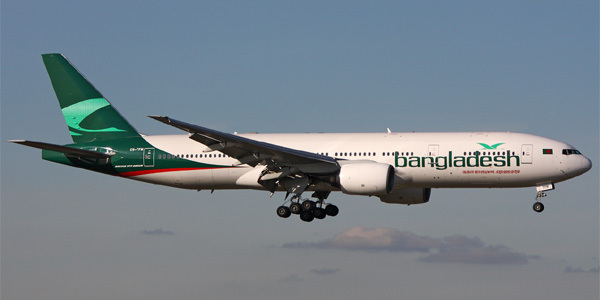 In addition to the base model, Boeing produced two modified versions, optimized to have farther flight distances: the Boeing 777-200ER ( Extended Range ) and the Boeing 777-200LR (Longer Range). Based on Boeing 777-200LR a cargo jet Boeing 777 Freighter has been developed and is currently being manufactured. The next plane in the family, the Boeing 777-300, made its first commercial flight for Cathay Pacific Airways four years later, in 1998. The -300 series features a streched body and greater passenger capacity than its predecessor. Since 2004, Boeing has also been manufacturing the longer-ranged 777-300ER version of the plane. At present Boeing is working on the modified version of the plane under the name Boeing 777X which will feature new engines and wings made of composite materials. The plane was manufactured in three different versions and can transport 300-400 passengers over 6,000 km (base model), 11,000 km (777-200ER version) or up to 14,000 km (777-200LR version). A streched version of the -200 series, this plane can fit up to 450 passengers and has a range of 7,000 km. 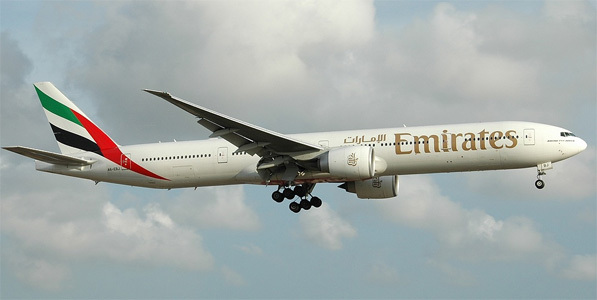 The derivative 777-300ER can travel a distance of up to 10,000 km.